WHAT LICENCE IS RIGHT FOR YOU? MINIMUM TRAINING HOURS: 45 (10 of which are solo). The EASA PPL is valid Worldwide to fly aircraft registered in Europe. The syllabus is the same across Europe. Most people aim to undertake a lesson a week or so and complete the course in between 12 and 18 months. You can take longer or with an intensive course you could complete the licence in as little as 6 weeks. Most students take a little longer than the minimum hours number of hours required, typically 50 - 55 hours in total depending on lesson frequency. 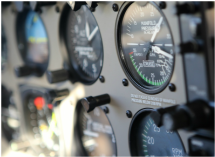 Instructors will teach students to a level of proficiency to pass the skills test and to complete solo cross country flights, including a qualifying flight of 150 miles and 2 away from home landings plus solo circuits (touch and go's).. The EASA licence is recognised across the world you can apply to have a licence from another country issued "on the back" of your licence, for example you can apply for an FAA licence in the United States to fly aircraft on the American aircraft register in the states without the need for further tuition.You may also add other ratings like Night, Instrument, Twin aircraft, as well as learn to fly complex aircraft (retractable under carriage and variable pitch propellers). 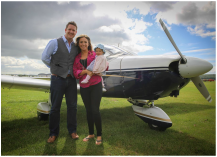 The licence is revalidated every two years either by a flight test with an examiner or subject to having flown 12 hours in the last 12 months a one hour flight with your instructor. 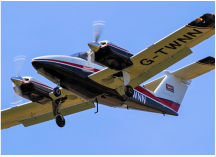 The NPPL is a national licence and is no longer valid to fly aircraft with an EASA Certificate of Airworthiness (the aircraft that we fly). making it only really suitable now for Micro Light flying. LIMITATION: None Complex aircraft up to 2,000kg, 3 passengers. Introduced in September 2012 the LAPL is similar to the national licence but covers flying in Europe. It is possible to upgrade a LAPL to a full EASA PPL.You can't add ratings to the basic LAPL licence and the licence is often chosen because of the less stringent medical requirement. The LAPL still requires the same ground school and flying standards and it's worth remembering that not everybody will reach the required standard in the minimum hours, so although the lower number of minimum training hours may seem appealing the real cost may be nearer to that of a full EASA PPL which we recommend where possible.